Fantasy Ireland... Magical, Mysterious, Magnificent... Share the Discovery! and that one-of-a-kind Celtic spirit! Like you and me, millions of people from all over the world have fallen in love with Irish culture. Thousands flock to the Emerald Isle every year in search of their roots. Others, who can't afford to travel there, immerse themselves in Irish, Celtic culture... art, jewelry, music, anything that expresses that Celtic spirit! WHY? Because we yearn to reconnect with our proud heritage. But it's hard to feel connected with our rich Irish Celtic heritage when we feel trapped in the fast-paced, ultra-American ways of modern life! Thus begins our quest to live in a way that truly honors the glory of our Celtic history and Irish culture. Are you captivated like me by the beauty of Celtic art and symbols? Do you dream of a relaxing vacation in Ireland, walking barefoot in the brilliant green grass of the Emerald Isle, surrounded by the breathtaking landscapes and spirited culture? Do you envision yourself stepping into the atrium of a majestic Irish castle wearing an exquisite Celtic wedding gown? Even if you don't have a drop of Celtic blood in you, so what? Anyone whose spirit comes alive in the midst of anything Irish is welcome on Fantasy Ireland! Maybe you're already married and planning your family, exploring ways to pass on your heritage to your children. What better way to start than by choosing the perfect Irish baby name and planning a traditional Irish christening? Whether you're looking forward to a romantic getaway or a family vacation with little Shannon and Patrick, Fantasy Ireland is here to help you plan your dream vacation to the Emerald Isle. Whether you're looking forward to staying in an intimate bed & breakfast or a medieval castle, you'll get the guidance you need to make the right choice for your family. And I'll do my very best to provide it! 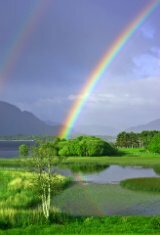 help you find your Fantasy Ireland! The Fantasy-Ireland blog keeps you up-to-date with all additions and changes to fantasy-ireland.com Web site. Traditional Irish Celtic Weddings are perfect for lovers young and old! Discover how to make your special day both affordable and memorable on Fantasy Ireland! 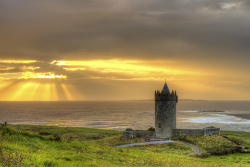 With so many choices of Ireland vacations, how do you find YOUR fantasy Ireland? 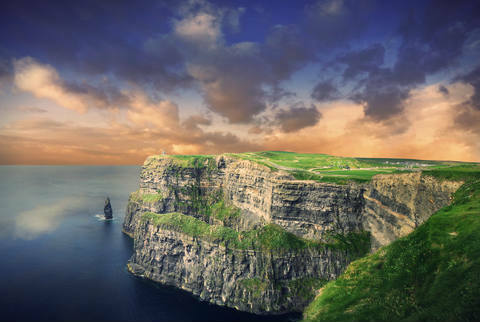 The Ireland you envision in your dreams? You deserve to experience the Emerald Isle YOUR way! Let us be your guide! Your baby's christening will be more memorable once you better understand the meaning behind it and discover ways to honor that. The Irish Christmas is sacred. It's not just about the glitz, glitter, and gifts. In Ireland Christmas really is about celebrating the birth of their Savior. There are millions of Irish Celtic resources on the web. Save time and let Fantasy Ireland show you only the best of the best! Fantasy Ireland is dedicated to honoring the Celtic spirit that lives in us all! If you have questions, comments, or suggestions, please feel free to contact me. I'd love to hear from you! Site Search makes it easy to find any article on the site. Whether you're here for the first time and want to find a specific topic, or you're a return visitor who needs to find a page you saw before. This site map is designed to make it easier to navigate Fantasy Ireland, so all the articles are in outline format. NEW and UPDATED articles are given special notation as well. Would you like to share your knowledge about fantasy ireland? Great, find out how you can submit your story or tip here.